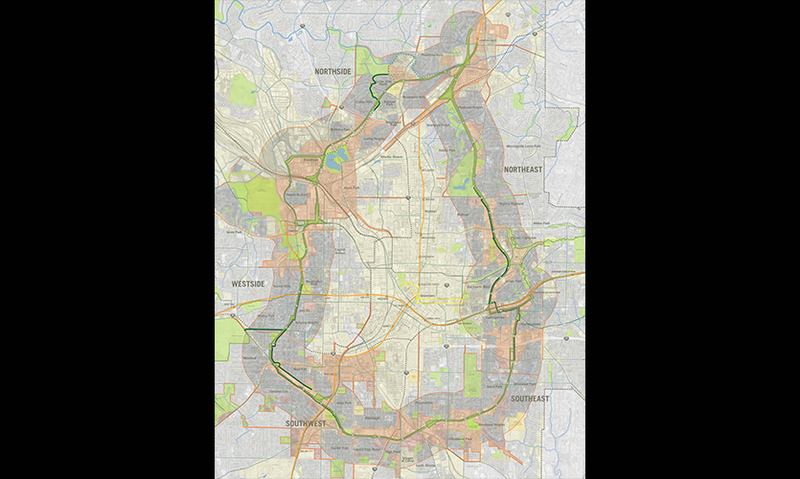 The Atlanta BeltLine is an ambitious urban redevelopment plan that transforms a loop of old railroad tracks encircling the city into a 22-mile transit greenway with light rail and new parks and trails. Over the next two decades, it will connect and stimulate growth in 45 Atlanta neighborhoods and provide a new model for city living. 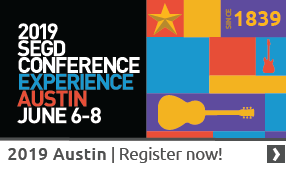 The Atlanta BeltLine will be a special focus at the 2014 SEGD Conference in Atlanta June 5-7. 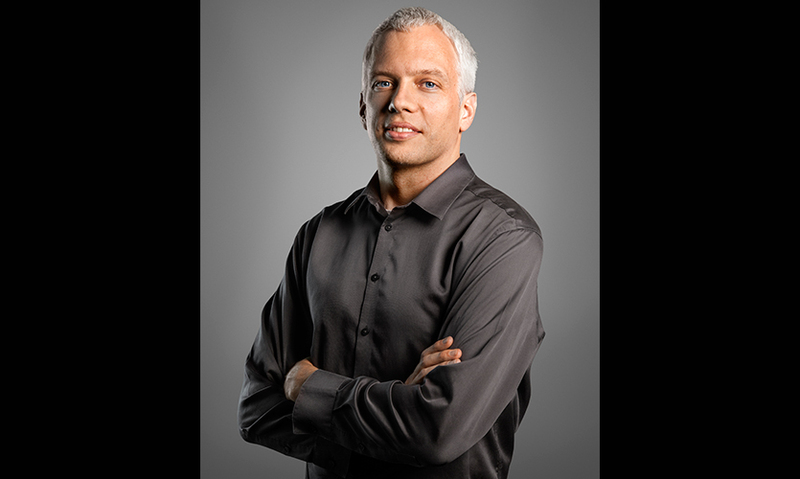 The original mind behind the proposal is Ryan Gravel, who was a graduate student in architecture and city planning at Georgia Tech in 1999 when he conceived the idea that eventually became the Atlanta BeltLine. Now a senior urban designer with Perkins+Will, the firm hired to develop a design vision for the project, he spoke with SEGD about his vision and how it was brought to reality. The Atlanta BeltLine is multi-faceted, integrating transit with sustainability and parks, with economic redevelopment. What was the seed of your original idea for the project? In school, I became really fascinated with the connection between the infrastructure we build and our way of life. The old streetcars in Atlanta came out of downtown and built compact urban neighborhoods. The interstate highway created a spread-out growth pattern organized around automobiles. So how do you design a system that revitalizes inner-city neighborhoods and older urban communities with walkable districts and transit? Atlanta is a railroad town; the railroad was its reason for being. A lot of the old tracks are still in use, but there is a unique loop circling the city that was underutilized. 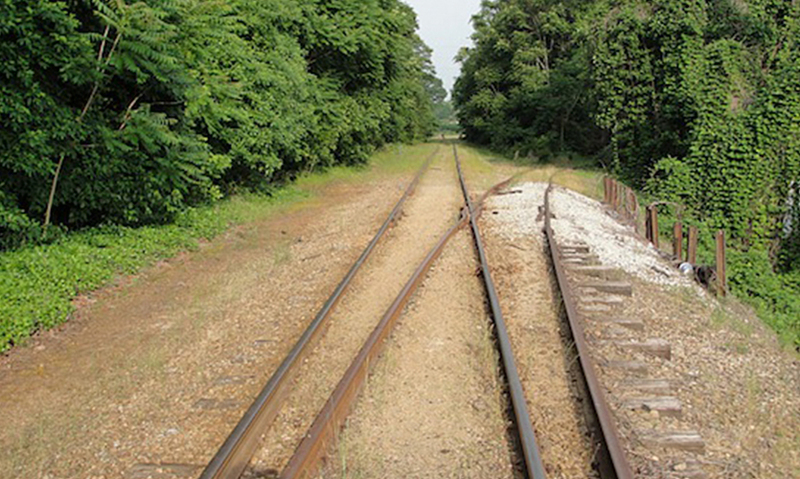 These old freight railroads were also associated with more than 4,000 acres of industrial land, most of it abandoned. So there was an incredible opportunity to transform the city and make it a very different place. My graduate thesis was to repurpose these corridors with transit and economic development, to redevelop all the land around them and revitalize all the existing streetcar neighborhoods along the route. My thesis was the kernel of an idea. I never imagined we would build it one day. So how did it happen? How did your idea come to life? After graduating, I worked for an architecture firm that does urban mixed-use projects, repurposing old sites for retail and housing. Many of those projects were along the railroad corridor. I told my co-workers about my idea and they thought it was cool because they lived in neighborhoods along the way. We got together and sent out a bunch of letters, including one to Cathy Woolard, who was on city council. She was excited about the idea because she was interested in transit geared toward people in the city—people who are more likely to want it, ride it, and pay for it. She hosted some town hall meetings and people fell in love with the idea. So we kept going. For three years we talked to every neighborhood group, business group, church, or school that wanted to hear about it. We created this amazing grassroots movement that then translated into political support from council and the mayor’s office. We got the transit authority to verify that it would work, and the city’s economic development office saw its potential, especially in underserved neighborhoods. Soon, we had volunteers in the hundreds. People not only embraced the idea, but they took ownership of it and talked about it with their neighbors and friends. They fought for it. When we faced challenges, (regarding land ownership, funding, or zoning), the public would come out in droves and fight for the vision they had for this project. How do explain this energy that your idea created? It’s part of a global movement. I’m actually writing a book about this topic right now, and digging into some of the answers to that question. Most cities have some kind of proposal for repurposing old, obsolete industrial relics for new life, often in disadvantaged, industrialized communities that were cut off by highway development. 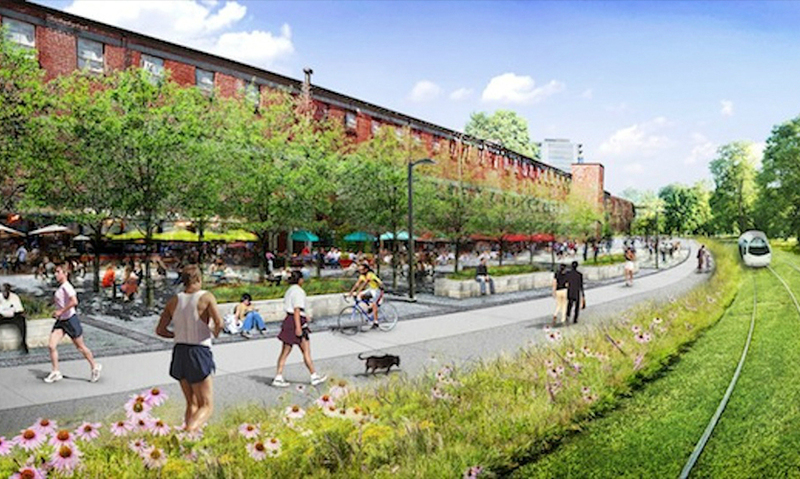 There are grassroots movements supporting creative adaptive re-use projects like the Atlanta BeltLine, the High Line in New York, and the Los Angeles River revitalization project. In the early 2000s, Atlanta was at a unique political moment to embrace this sort of broad, diverse, positive vision for its future. Trace your own BeltLine path for us. I started as a volunteer, for four years building support for the project. Then I went full-time for two years in a nonprofit advocacy role, first with Friends of the Belt Line, and later with Atlanta BeltLine Partnership. After that, I worked at City Hall as part of a planning team for about six months before going back into private practice. I’ve been with Perkins+Will for six years now. I’m still on the Board of the Atlanta BeltLine Partnership. I live right on the corridor and ride my bike to work on the trail several times a week. 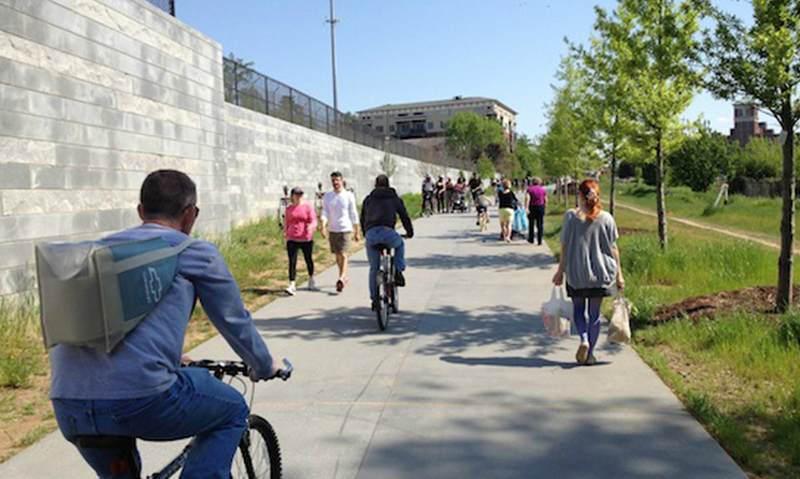 What has been the most challenging—or maybe exciting—aspect of bringing the Atlanta BeltLine to life? Funding has always been one of our challenges, mostly because Georgia does not spend money on public transit. So we had a steeper climb. We got a tax allocation district approved in 2005 and that will support half the project’s cost, but funding is certainly always an issue. One of the most exciting things about this project is the way that it is not only changing the physical form of the city, but the way people feel about their city. The Eastside Trail is open and on a sunny Saturday afternoon, it’s jam-packed. It is so successful that it is changing people’s minds about a lot of things—including whether or not we should pay for projects like this. It is making the city into a completely different place—a more sustainable and healthy place. It’s exciting to be a part of that. And what do you feel has been the most important component of its success? 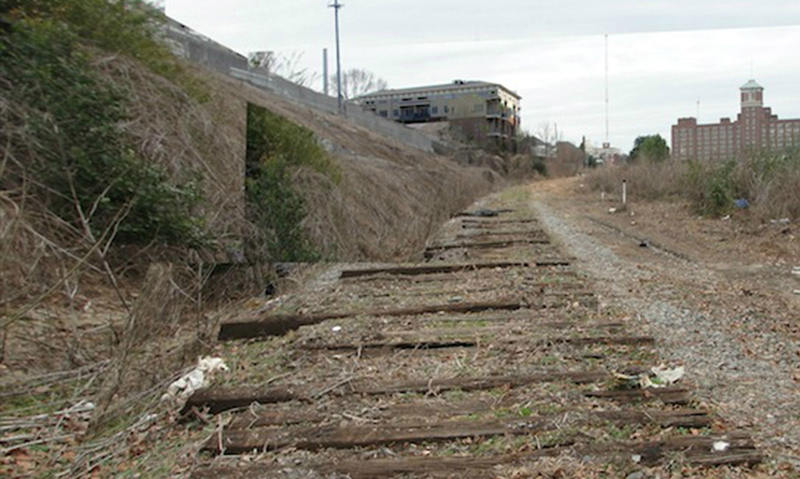 Hands-down, it’s the grassroots support that made the Atlanta BeltLine happen. It has also been critical in maintaining the integrity of the vision. And it not only empowers, but in a way even obligates the city’s leadership to implement it, and to do it in the best possible way. That continued pressure is really important. For something as big and transformational as this, occurring over several election cycles, it’s important to have endurance, and the project’s public ownership offers political durability. What is the status of the project right now? I’d say we’re in the early stages of implementation. Yet with an investment of approximately $300 million so far, we’ve already seen over $1 billion in private investment since 2005. That’s an excellent return on our investment. 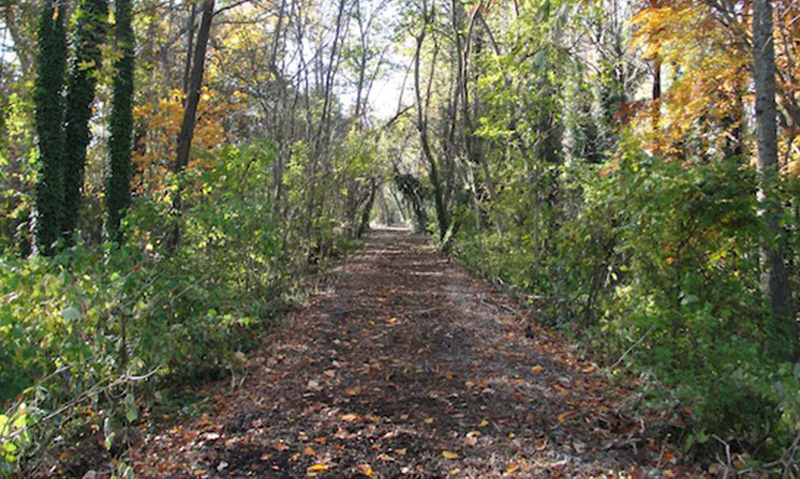 So far we’ve built three trail segments covering four miles of the mainline trail, out of 22 total, but we have another four or five miles going under construction later this year. We’ve also got four new or renovated parks open, and our first foray into affordable housing has been finished. To support our momentum, we have dozens of tours and programs and partners including a running series and temporary summer art event. Plans call for additional trail spurs, 1,300 acres of new parkland, 5,600 units of affordable housing, more than 1,000 acres of remediated brownfields, and a diverse range of public art and historic preservation projects. You can learn more and get involved by going to www.beltline.org.